More speed, capacity, and endurance. Get more out of your storage. 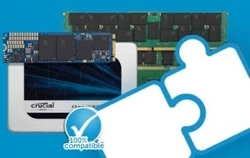 The Crucial MX200 SSD is a legacy product and is no longer available. Note: 1GB equals 1 billion bytes. The 1TB version of this drive has a storage capacity of 1000GB and meets terabyte-class standards, which refer to drives that store between 960GB and 1024GB of data. Actual useable capacity may vary. Performance comparison based on published sequential read specs of the 500GB Crucial MX200 SSD and the 1TB Western Digital® Caviar Blue™ WD10EZEX internal hard drive, which is one of today’s best-selling hard drives and an accurate reflection of a common internal hard drive (as of September 2014). 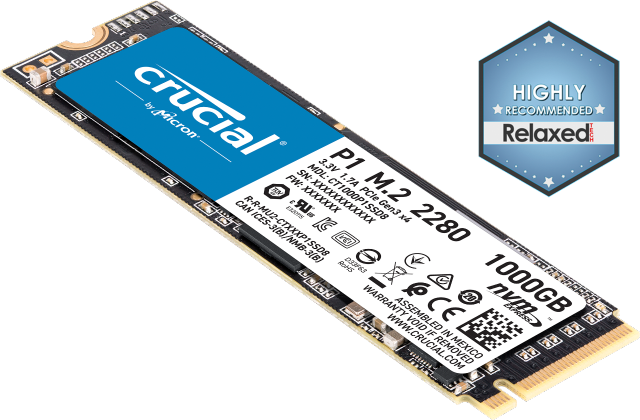 The published endurance rating (TBW) of the 1TB Crucial MX200 SSD is 5 times greater than the average published endurance rating of three leading mainstream client SSDs (September 2014): 1TB Samsung® 840 EVO, 480GB SanDisk Extreme Pro® II, and 480GB Intel® 530 SSD. Hard drive active average power use comparison based on published specs of the 1TB Crucial MX200 SSD and the 1TB Western Digital® Caviar Blue™ WD10EZEX internal hard drive, which is one of today’s best-selling hard drives and an accurate reflection of a common internal hard drive (as of September 2014). Some of the storage capacity is used for formatting and other purposes and is not available for data storage. 1GB equals 1 billion bytes. Actual usable capacity may vary.